Carpet Cleaning San Antonio use Eco-friendly methods and products all through San Antonio TX, so if you've been putting off calling a professional cleaning service because you're concerned about the environment, we are the place to call. We also offer the best value for all the cleaning services we offer. San Antonio Carpet Cleaning has been treating homes, offices and businesses throughout San Antonio, TX for quite some time now. Our long list of repeat customers is testimony to the level of services rendered by our ace crew of technicians. 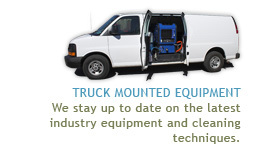 Armed with professional cleaning equipment, like powerful truck mounts and industrial grade vacuums, no job is too big or too small for this bunch of dedicated cleaners. Although the list of cleaning services offered is long, let's begin with the most common: carpet cleaning. The professional carpet cleaning process goes way beyond typical DIY cleaning options. First off, we begin with methodical vacuuming - taking care to move furniture and other objects which might not only hide dust, but eventually cause damage to your carpet. Next, spots and stains are obliterated using high-quality Eco-friendly products. Once spots have been removed, it's time to bring in the clean power of steam. That's right. We will not shampoo carpets - that requires harsh detergents. We will not treat your carpets with toxic chemicals, even if that's what other carpet cleaners might do. We use a method called "water extraction" or steam cleaning. This method uses the purifying powers of water heated to high temperatures to flush out dirt, grime, bacteria and dust mites right on down to the carpet pads. The beauty of this method is that even though it starts with water, your carpet is completely dry at the end of the process when all moisture is extracted. No mushy, over-wet carpets when we're done. No toxic fumes lingering in the air. Just pure, fresh, deodorized and sanitized, clean carpets. San Antonio Carpet Cleaning is dedicated to purifying and beautifying your interiors. To this end, in addition to carpet cleaning we offer a wide range of cleaning services. You can count on Carpet Cleaning San Antonio to be there for you 24/7. Call for a free estimate today at 210-858-9124. Don't forget to ask about extra savings when ordering more than one service for the same day or setting up a maintenance schedule in Bexar County of San Antonio.